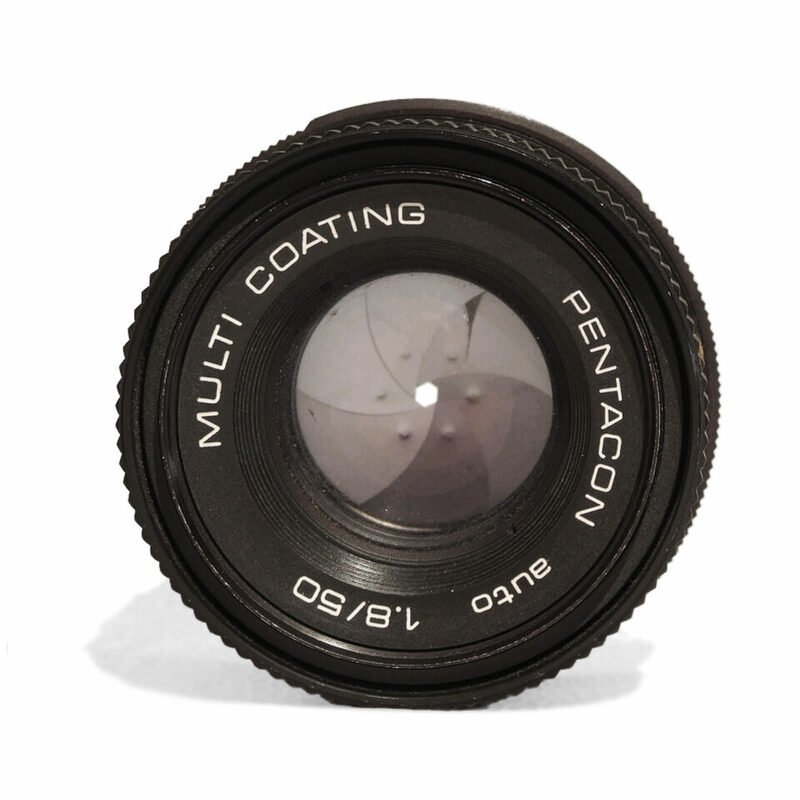 Home » Photography Tutorials » What Is Lens Diffraction? When photographers talk about lens diffraction, they are referring to the fact that a photograph grows progressively less sharp at small aperture values – f/16, f/22, and so on. As you stop down your lens to such small apertures, the finest detail in your photographs will begin to blur. With good reason, this effect can worry beginning photographers. However, if you understand how diffraction impacts your photographs, you can make educated decisions and take the sharpest possible photographs in the field. In this article, we will explore the topic of lens diffraction in detail and talk about different techniques you can utilize to avoid it. The reason that this occurs is based upon the principles of physics; in short, as the aperture gets smaller and smaller, light waves spread out and interfere with one another increasingly more. This causes small details of your photographs to blur. However, this explanation is overly simple, and it still can be confusing to beginning photographers. What, physically, causes diffraction? At what point does diffraction begin to blur your photographs? Is there anything you can do to prevent diffraction? Are expensive lenses better at controlling diffraction? The answers to all of these questions will be explained in-depth below. In explaining diffraction, it can be difficult to straddle the line between avoiding and embracing references to optical physics. Most photographers are interested in day-to-day knowledge rather than comprehensive background information, but it is impossible to talk about diffraction without describing how it works at a fundamental level. That said, this section is meant to be understandable even if you are not a physicist; we recommend reading it, since it will provide a more solid foundation for your understanding of diffraction. To make it interesting, then, you cut a hole in the barrier so that water can pass. Now, what sorts of patterns would the waves create? These additional patterns are artifacts from the wave bending around the corners. They arise because the two corners act, essentially, as individual sources of waves – waves which can collide with one another. In certain areas of collision, the waves cancel each other out (destructive interference); that is why some areas of the diagram look completely still. In other places, though, the waves add together (constructive interference), which causes an additional pattern to form off to the sides. The main difference between these two images is that the smaller opening results in a larger spread of waves, while the large opening causes much less spreading. Finally, note that a “small” opening is relative. 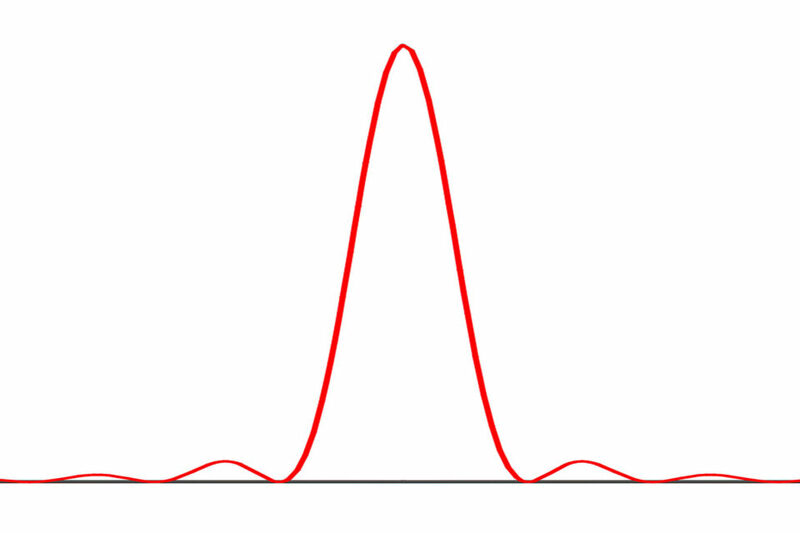 In fact, the opening only causes diffraction when it is similar in size to the wavelength that passes through it. 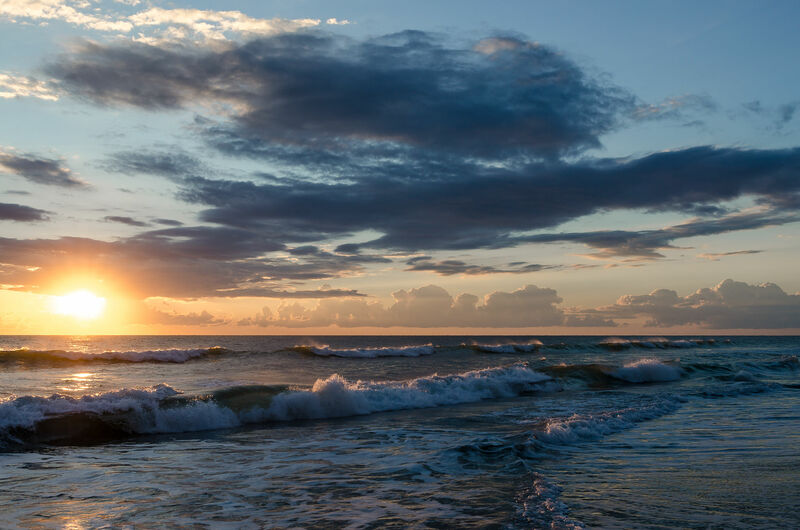 This is why light, which has a tiny wavelength, will not diffract significantly if it passes through a ten-foot wide opening – even though the ocean does. Congratulations! You now understand the physics of diffraction. At its most basic, a small opening causes waves to bend and interfere with one another; this, in turn, spreads out their signal. Clearly, diffraction is an important concept in physics. 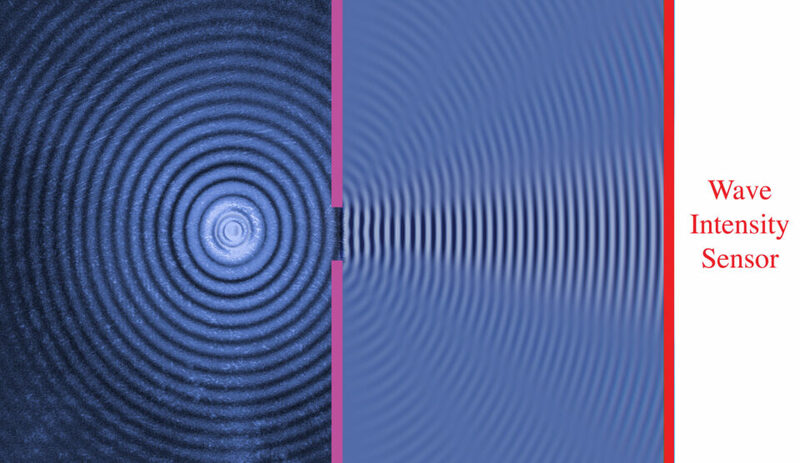 In fact, a similar experiment (with two slits rather than one) played a major role in proving that light can behave as a wave – one of the most important discoveries in scientific history. But how does this impact your everyday photography? The figure above shows what is known as an Airy disk. This is, quite simply, the appearance of a diffraction pattern when it hits your camera sensor. The central region is the brightest, and it has the largest effect on your photographs. Now, think of a scene as being composed of countless tiny sources of light. Every pinpoint of light travels through the aperture of your lens; as a result, each part of your photograph projects onto your sensor as an Airy disk. These, as shown above, become blurrier with small aperture values. This is the reason that you see diffraction! The comparison above, showing an Airy disk hitting the pixels of your sensor, might prompt a question: if the pixels were larger, wouldn’t the Airy disk be less likely to bleed over? In fact, that is completely true! Large pixels – those which are bigger than the Airy disk – do not show diffraction at the same apertures that a small-pixel camera would. Perhaps I can stop down to f/11 on the 12-megapixel Nikon D700 before noticing any diffraction, while the 36-megapixel D800/D810 would show visible diffraction at any aperture smaller than f/5.6. These numbers aren’t set in stone, though; I recommend testing your own camera to see when diffraction begins to grow noticeable (and, more importantly, when it begins to grow objectionable). However, this isn’t a problem with high-resolution sensors. In fact, if all your settings are the same, a high-resolution sensor will always capture more detail than a low-resolution sensor of the same size. More pixels will never lead to lower detail, even at the tiniest of apertures. This means that, if you print your photos at the same size, a Nikon D800/D810 photo will always have more detail than a Nikon D700 photo, all else equal. That said, if you buy the Nikon D800/D810, chances are good that you want to print large or pixel-peep. If this is the case for you, diffraction absolutely is a bigger issue than it would have been with a low-resolution sensor! To get the best possible sharpness from a D800/D810, you should pay attention if your aperture is smaller than about f/8. Again, I recommend testing the exact boundaries of your camera yourself. 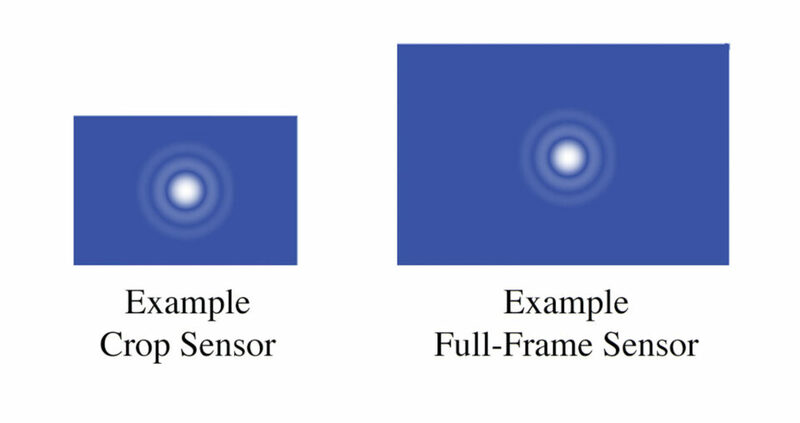 It is often said that crop-sensor cameras (i.e., DX Nikon cameras) show diffraction more easily than full-frame cameras (FX Nikon). Is this a myth, or does it hold true? Let’s start with what we know. At a given aperture on a lens, the Airy disk will always be the same physical size. It doesn’t matter what sensor you use; this is a property of physics that only depends upon the aperture itself. For example, whether I put a 50mm f/1.8 lens on the full-frame D750 or the crop-sensor D3300, the size of its Airy disk projection will be identical (assuming the same aperture). In fact, at an equal print size, a DX camera will show more diffraction than an FX camera. This is because the DX sensor is essentially a crop of the FX sensor; in other words, it magnifies everything in your photograph – including the diffraction – just like cropping in post-production. The amount of additional diffraction is the same as your crop factor. So, for a 1.5x crop-sensor camera, multiply your aperture by 1.5 in order to see the equivalent diffraction on a full-frame camera. For example, the Airy disk at f/11 on a DX camera takes up roughly the same percentage of your sensor as the Airy disk at f/16 would on a full-frame camera. Of course, if you use a DX camera, you may not print quite as large as you would with an FX camera. For many photographers, then, there is no practical difference; the smaller prints from a DX camera cancel out the additional diffraction. If you do print at large sizes with a DX camera, be aware that diffraction will be more significant at a given aperture. This, of course, does not mean that you should shoot every photograph at f/5.6. 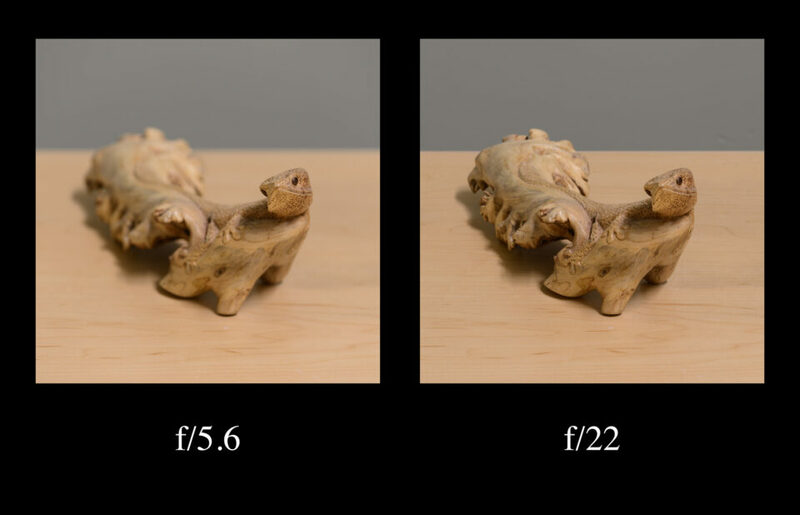 If you need a large depth of field, feel free to use smaller apertures; sometimes, it’s worth the slight reduction in sharpness from diffraction. There is always diffraction at every single aperture of your lens. This has to be true; light always needs to bend through an aperture, even if it is very large. However, at wide apertures like f/2.8 or f/4, the Airy disk is much smaller than the pixels in your photograph. This means that diffraction is essentially impossible to see at such large apertures. So, why is the peak at an aperture of f/4 rather than f/1.8? That is slightly beyond the scope of this article, but the essence is that – at larger apertures – more light travels through the edges of a lens. Since the center of a lens is the best-corrected region, this decreases the sharpness of the photograph (and increases its spherical aberration). A smaller aperture actually blocks light that has traveled through the edges of a lens, which improves the sharpness of a photograph. This effect, balanced with the decrease of sharpness from diffraction, is the reason that f/4 gives the greatest sharpness on a lens like the 20mm f/1.8. How do you tell which aperture is sharpest on your lens? Simply look at the tested results online. However, don’t stress too much about always shooting at the “perfect” aperture. For one, even these test results can be ambiguous. In the chart above, for example, the corners of the lens are actually sharpest at f/8. So, depending upon your subject, you may prefer sharper corners rather than the sharpest possible center. At the same time, even suboptimal apertures aren’t horribly blurry. I have made a few large prints from photographs taken at f/16, and their quality is more than enough for my needs. If you need an aperture like this – generally to increase your depth of field – don’t be afraid to use it. Now that you understand diffraction, how do you make sure to avoid it in your photographs? Unfortunately, the simple answer is that you can’t. Diffraction is a result of physics. It doesn’t matter how good your lens is; diffraction will rob sharpness at smaller apertures no matter what. Even though you cannot circumvent the laws of physics, there is one way to avoid diffraction in your photographs: use a larger aperture. If you need the absolute sharpest photograph, this is the only way to avoid the effects of diffraction. Are you photographing a scene that needs a large depth of field? 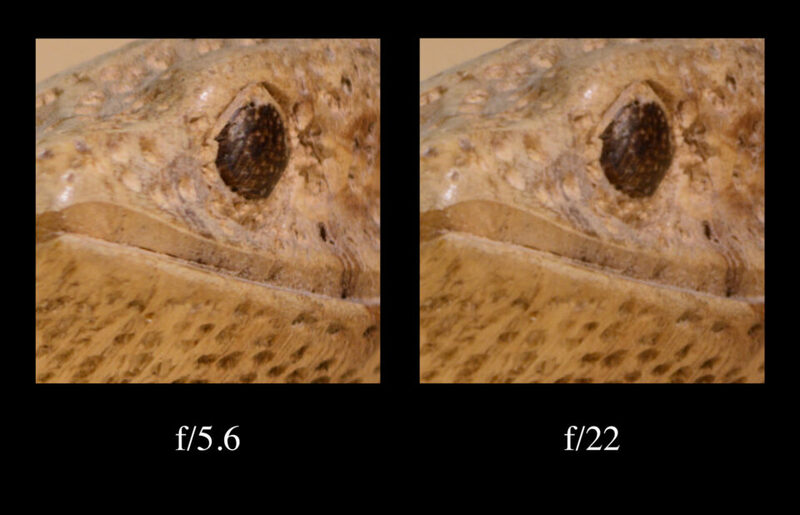 Try focus stacking at an aperture of f/5.6 or f/8, where diffraction is minimal. At the same time, if you did use a small aperture (say, f/16 or f/22), you can improve a photograph’s apparent detail by sharpening in post-processing. This doesn’t actually eliminate the effects of diffraction, but it is a simple way to improve photos taken at small apertures. In theory, it is possible to correct for diffraction through a sharpening process known as deconvolution sharpening. This type of sharpening is most effective when one has a perfect model of the lens in question, including its exact optical characteristics. For this reason, generic deconvolution sharpening does not reduce the effects of diffraction to a meaningful degree; NASA, however, is known to use such a method to improve the sharpness of Hubble Telescope photographs. (Some camera manufacturers, including Pentax, may have a diffraction-reduction menu option; however, this is nothing more than a standard unsharp mask cooked into your RAW file.) If you want to test deconvolution sharpening, increase the “Detail” slider as much as possible in either Lightroom or Camera Raw. Of course, it will not be specific to your lens, which would be necessary for true diffraction reduction. 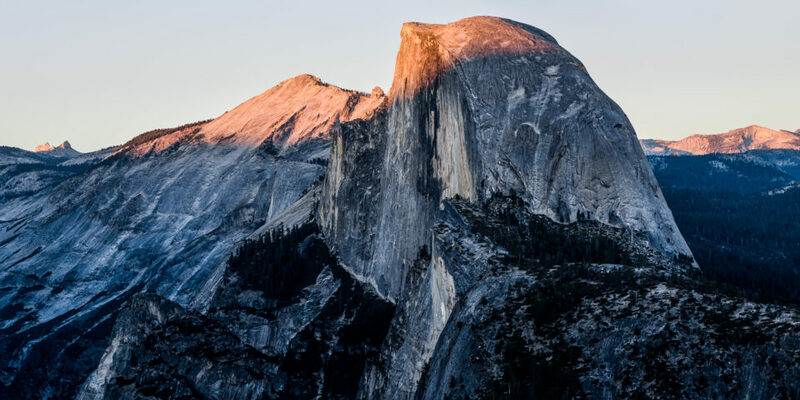 However, although you can sharpen your photographs in post-processing, the best way to decrease diffraction is simply to use a larger aperture. Aperture is a technical topic; so is the interaction between light and your camera sensor. Some of the information above is presented as a best-case scenario, and the reality can be slightly more complex. Most of the following information will not affect the actual appearance of your photographs, but it is worth covering some of these special cases. For example, light with large wavelengths will diffract more readily than light with shorter wavelengths; this means that red light (with a wavelength of about 650 nm) leads to a larger Airy disk than blue light (about 475 nm) at the same aperture. So, in theory, you will see slightly less blur from diffraction if you are working in extremely blue light; in practice, this effect is small enough that it has little impact on your photographs. Also, in most cameras, the pixels that combine to make a photograph do not all detect the same wavelengths of light. For sensors with a Bayer array of pixels (including Nikon, Canon, and Sony DSLR/mirrorless cameras), the number of green-sensing pixels is twice the number of red and blue pixels. 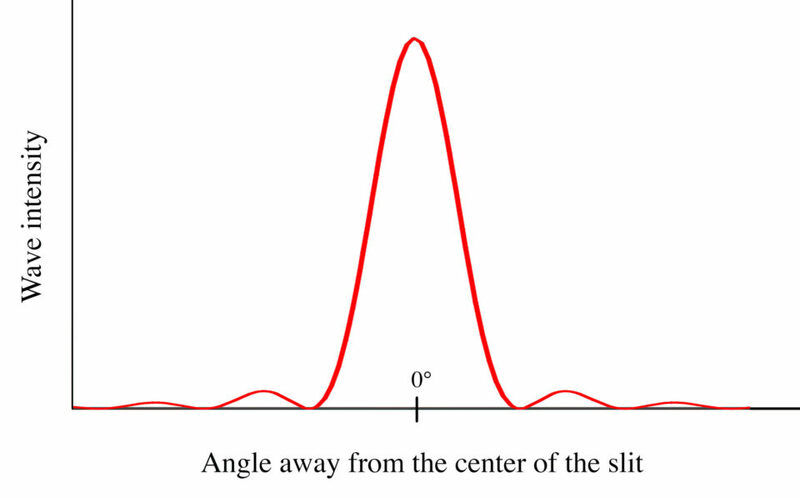 This means that the pixel diagram presented earlier is a slight simplification; however, this does not change the fact that blur from diffraction increases due to the size of the Airy disk. Finally, the depiction of the Airy disk in this article is bit simpler than it would appear in the real world. 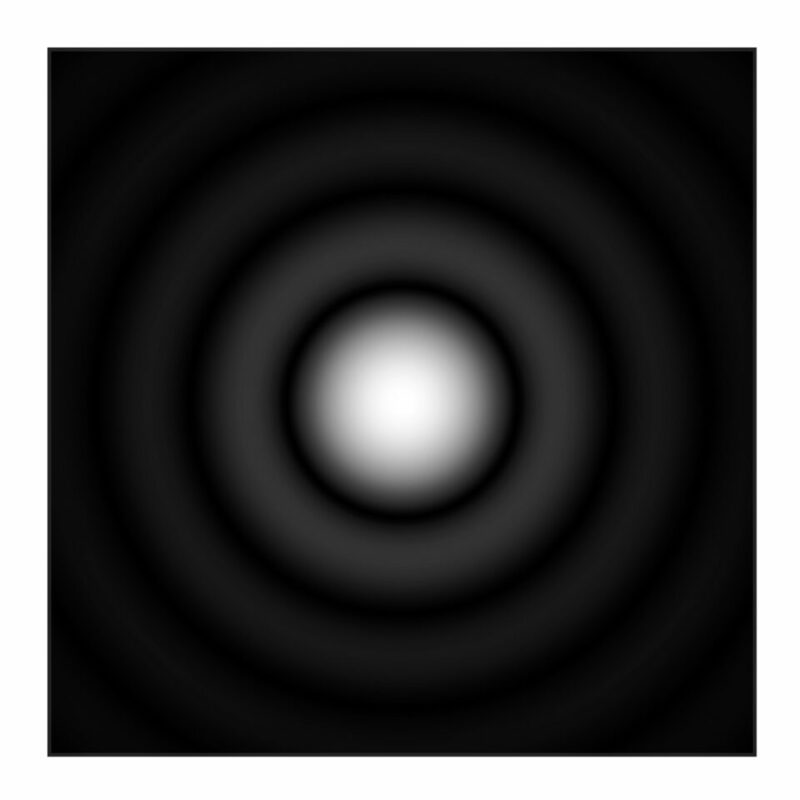 Above, I showed it as a series of concentric rings; in reality, though, that would only occur if the aperture were perfectly circular. Most lenses have seven, eight, or nine aperture blades, which (even when curved) are not quite circles. So, the “Airy disk” becomes an “Airy octagon.” However, there is no practical difference in the appearance of diffraction in your photographs; your photos will be just as blurry as you stop down the lens. 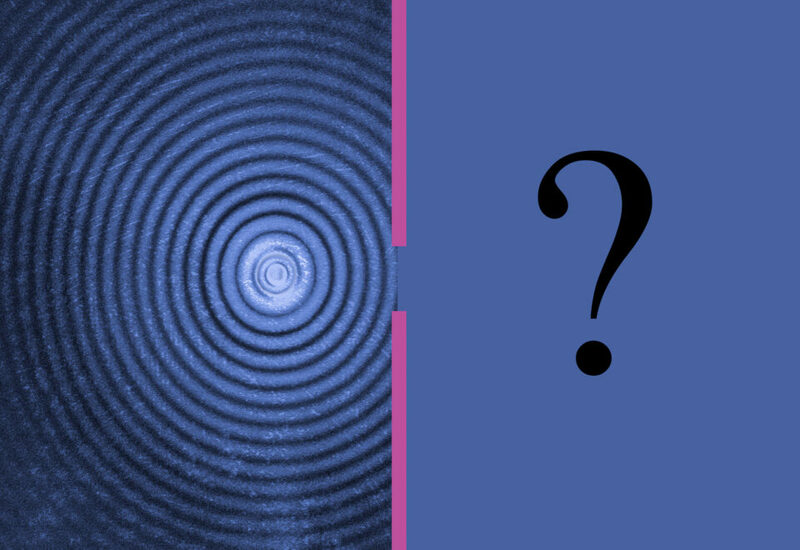 If you have any questions about the finer points of diffraction, please feel free to ask a question in the comments section; a single article is too short to explain everything that there is to know about such a complex topic. Given all of these technical caveats, diffraction can seem like an out-there, unusual topic to be discussing. However, its effects are clear and significant in your photographs, and they are well worth considering while you are taking pictures. Especially for landscape and architectural photographers – or anyone who wants to take sharp photos with a large depth of field – it is important to understand the trade-offs that come from shooting at a small aperture. Diffraction is present in all your photographs, and – if you aren’t careful – it can rob some sharpness from your favorite images. However, once you see its effects in practice, diffraction will become second nature. And why not relating this article to hyperfocal lenght? Good thought. I added a bit about hyperfocal distance under the “Choosing the Sharpest Aperture” section. I’m also planning to write an article that covers the sharpest possible settings for a landscape with a wide depth of field — that will tie these two articles together more closely. As Aaron D. Priest already pointed out in his comments to Spencer’s article explaining hyperfocal distance (photographylife.com/lands…-explained) there is nice trilogy of apps available for the iPhone provided by George Douvos which ties this all together: depth of field, diffraction, and focus stacking. I have no problem with single shot images but when I make panorama, I`m always trying to find a way to make it as sharp as I can. Do you think f8-f11 will be enough to get everything sharp if my subject is half a mile away? When I use DOF calculator, it tells me that when I put the focus point on a point half a mile away at f8, anything from 453 feet to infinity is sharp. I was always using smaller aperture like f16 to get everything sharp. I guess based on this calculation I don`t need to use f16. I can use f8 to prevent diffraction and also get all NYC skyline sharp. Beyti Consider though – choosing F8 will not render those star effects that your night pictures have…but sharpness will definitely improve especially if you use a high megapixel camera as the D800series. stars are rendered when you choose a high f-number (small aperture). You can take multiple exposures at different apertures and blend those stars in in photoshop. Beautiful portfolio you have there ! Helpful article and comment, thanks y’all. Wow…never read such a detailed article on “Diffraction”, involving so much physics, nice research Spencer. Good explanation of a difficult subject. Thanks for a great article. I understand this phenomenon from doing experiments with a laser, but it’s wonderful to see such a good technical article explain the subject so well. Thank you! I saw a lot of references to lasers as I researched for this article — I haven’t worked with any in person, though. Hey Spencer, nice that you wrote such an extensive article about diffraction. Thank you for including this information! I drew it how I did in the article just to make it easier to visualize a wave, but you are absolutely correct; the diagram is most accurate if the incoming wave is straight rather than curved. I will add a note in the article as soon as I get a chance. Arthur, I understand the essence of what you wrote, but being the scientific pedant that I am: Planar waves do not, and cannot, exist in the object space of practical reality. Lasers do not, and cannot, produce planar waves because their light output passes through their finitely-sized exit aperture. In order to produce true planar waves — a perfectly collimated beam — the required size of the exit aperture is infinite. Only an infinite diameter circular aperture exhibits zero diffraction thereby enabling it to emit waves having a curvature of zero. Thanks for this interesting article. I am just wandering about absolute vs relative aperture size: does diffraction effect depend on the actual size of the hole (expressed in mm) or on the size of the hole expressed relatively to the focal length (expressed as f/5.6, f/8). In other words, do a 50mm and a 100mm involve the same diffraction level at the same f value, or does the diffraction effect obtained with a a 50mm at say f/4 is the same as the one obtained with a 100mm at f/8, as both involve the same absolute hole size. Thanks for bringing this up – it can get confusing. In fact, the “relative” aperture is the only one that matters in terms of diffraction. In other words, you always see the same amount of diffraction blur at f/16, whether you use an 11mm lens or an 800mm lens. Simon, The size of the Airy disk is actually an angle therefore its diameter linearly increases with distance away from the aperture diaphragm and towards the image plane. E.g., we have two lenses both focussed at infinity: f₁=50 mm at f/5 (aperture diameter D₁=10 mm); and f₂=500 mm f/5 (aperture diameter D₂=100 mm). The 10 mm aperture produces an Airy disk that’s ten times the angle of the 100 mm aperture, however, it has to travel only 50 mm to the image plane compared to 500 mm for the longer lens. The diameter of the disk at the image plane will be exactly the same for all lenses set to the same working f-number (Nw), regardless of their focal length. Note: Nikon cameras display Nw rather than the actual f-number (N) of the lens, which is especially useful for macro photography where Nw is significantly greater than N: this difference is often termed the “bellows factor”. As usual, excellent technical explanation and commentary Pete, thank you for pitching in and helping out! Thank you, Nasim. I really enjoyed reading Spencer’s thoughtfully illustrated article to explain this difficult-to-understand, but essential, topic. Ah, thank you Pete – I should have caught that one! I changed the capitalizations. You have recommended that photographer do their own tests. That is certainly good advice, but leads to the question “how do I test?” I have used, and recommended, a quick and dirty methods that gives a good idea of the “best” aperture: Find a distant object with a lot of detail. I like trees in winter. Set camera on a tripod. This not only avoids shaking the camera but also makes sure that the camera is not moved for the series of exposures. Focus manually. Set the camera for fixed ISO and aperture preferred. Take exposures at different apertures letting the camera set the shutter speed. The “sharpest” photo will have the most detail. The photo with the most detail will have the largest file size. So you can tell the best aperture setting by just looking for the photo of the largest file size. No, this is not the best testing method, it is just quick and easy. Interesting! I didn’t know that method could work; I’ll need to try it out at some point. I feel like it could run into errors as vignetting and aberrations decrease at smaller apertures, although — as you say — it is more about quick approximation than complete accuracy. My personal method would be to do exactly what you suggest, then simply study and compare the photos side-by-side at 100% in Lightroom. Of course, that takes some extra time. Helpful article and comment, thanks y’all. I shot a brick wall using a tripod 8-10 feet out and shooting at each f stop. At f/22 there was definite diffraction, and my f/2.8 was a bit soft but usable. It does not, PALM will only work if you have a total control over thing you are imaging, you literally tell the thing when to light up in a sequential manner, molecule by molecule, one molecule at the time, and when you finally imaged all molecules you eliminate diffraction in each image (for each molecule) and reconstruct your superresolution image, but you sacrifice temporal resolution of course. That’s incredibly interesting, thanks for sharing! Great article that was missing from this wonderful website for a long time. The explanation along with photos was great and helps a lot! Maybe we can soon have an article about focus stacking (specifically for landscape photography as it is an obvious topic for macro-photography). That can help folks that want to avoid diffraction but still give the opportunity of getting immense depth of field. Thank you for all your time you put into the website along with all the other colleagues from photographylife. Thank you, Jan! 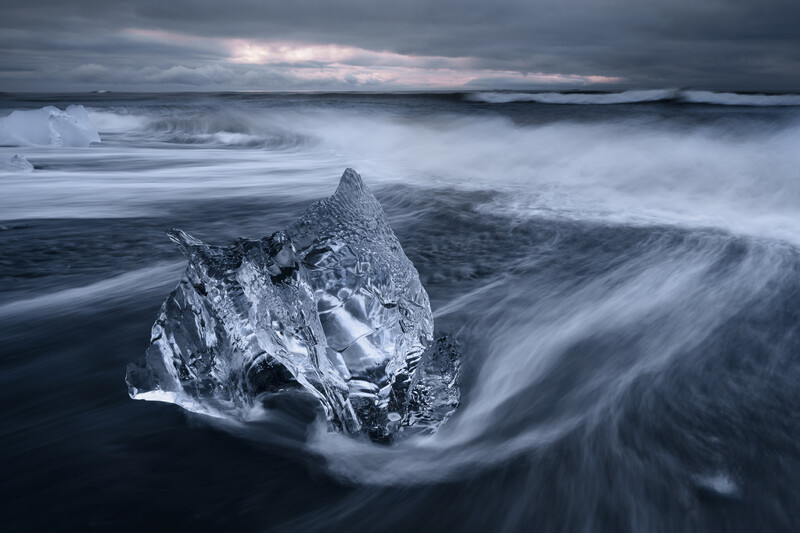 I agree, a focus stacking article for landscapes would be useful — thanks for the suggestion. One thing readers should keep in mind is this article is just referring to diffraction as one dimension of sharp image making. The other thing to keep in mind is that there are other factors in addition to diffraction that impact sharpness. For example, some lenses are sharper near wide open while others are better at f/8 or so. Most lenses deteriorate in sharpness as you stop down more – to f/11 or more. In addition, sharpness varies across the frame with the center normally being the sharpest area but corners can vary quite a bit depending on aperture and lens choice. Distance can also have an impact on sharpness. Most Nikon lenses are designed for moderate distances – not small subjects far away. When you get beyond 100-150 feet away, there is normally going to be some softness. AF accuracy may also impact testing. If you are trying to test your lens and camera, you need bright light and high contrast not low light conditions. Low light makes it harder to have enough light for good AF, and it also decreases apparent sharpness by reducing contrast. 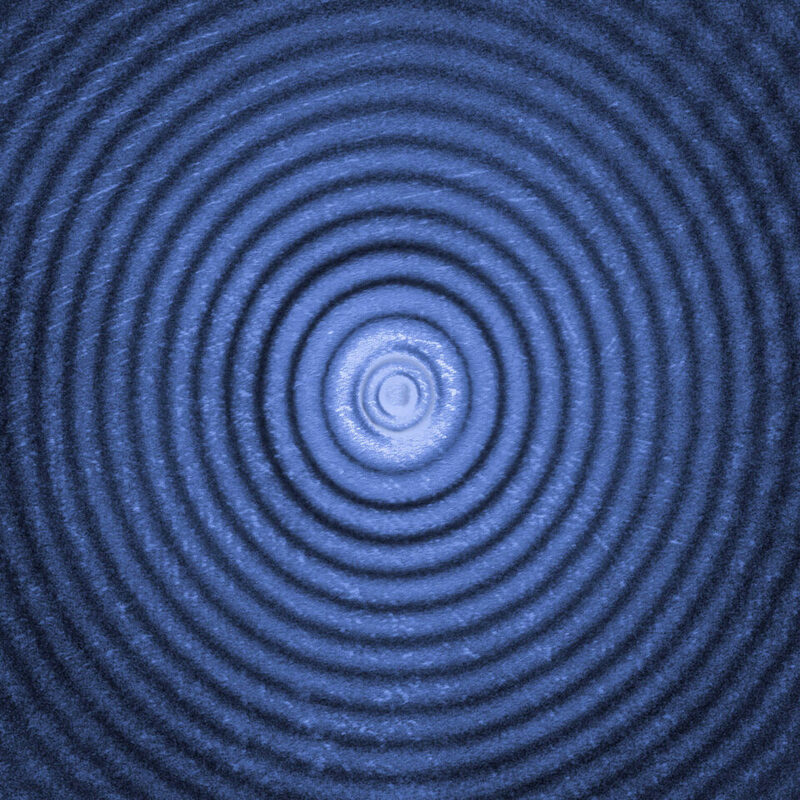 Judging diffraction solely by looking at sharpness is not necessarily the right approach. You’ll need to keep in mind the performance of a given lens. Some lenses are sharpest wide open or at wide apertures and deteriorate based on lens design even when diffraction is minimal. Still – personal testing is useful because it helps to understand how your gear works and where you consider the problems to be significant. Nikon certainly won’t admit it, but lots of lens are like that. The Nikon 200-400 is one of the best known to be very sharp inside 150 feet but softer at long distances. The 600 f/4 is great at reasonable distances, but not at extreme distances. Even testing is done at closer distances – not distant subjects. Nikon does a nice job of making decision about how to balance different factors to get the best in the intended use. But most photographers that demand sharp images are not photographing dots in the distance – they are filling the frame or deciding how to get closer. The main things that limits the far distant image sharpness from 400+ mm FX lenses are: atmospheric refractive index gradients, such as heat shimmer; and atmospheric haze [suspended particles, including water vapour]. I think that I’m out of my range here because I’m not scientific, but I think that movement can be the cause for blurriness too in long distances. Little vibrations in the camera, even from the curtains, can be undetectable in short focus areas but definitely detectable in long distances. I have to deal with this a lot with spherical panoramas when there are objects close (about a foot) to several feet away. It’s always a balance between shooting more focus stacks or smaller apertures and trying to get optimum sharpness. It doesn’t help that the no-parallax point shifts when changing aperture and focus, so that too must be taken into account when finding the best compromise. Thank you, Aaron! I can imagine how complex this topic (and hyperfocal distance) can get when you are making spherical panoramas. I didn’t know that the no-parallax point shifted at different aperture values — is that a result of focus shift? Spencer, The perspective of a scene is determined entirely by the position and alignment of the lens entrance pupil within the 3D object space of the scene. The pivotal point for zero parallax error is therefore the central point of the lens entrance pupil. When using a traditional symmetrical lens that has a constant thin-lens model direct equivalent, the location of its entrance pupil relative to the front of the lens remains constant throughout its range of focus. All such lenses focus by altering their distance from their mounting flange. In other words, if we keep the entrance pupil in a fixed position then a closer focus distance requires that the camera and its image plane are moved further away from the lens. The focus shift with f-stop that’s caused by spherical aberration in the virtual entrance pupil is in the region of a millimetre or three in object space therefore the parallax error it causes is insignificant. Modern high-performance zooms, prime macro lenses, and prime telephoto lenses, do not have a constant thin-lens model equivalent. All lenses that use an internal focus mechanism — e.g., all Nikkor IF-ED lenses — vary their thin-lens model equivalent parameters throughout their focus range, especially the pivotal point of their entrance pupil. They also change their focal length, but this factor alone affects only the expected scene magnification ratio, it does not affect the perspective of the scene. 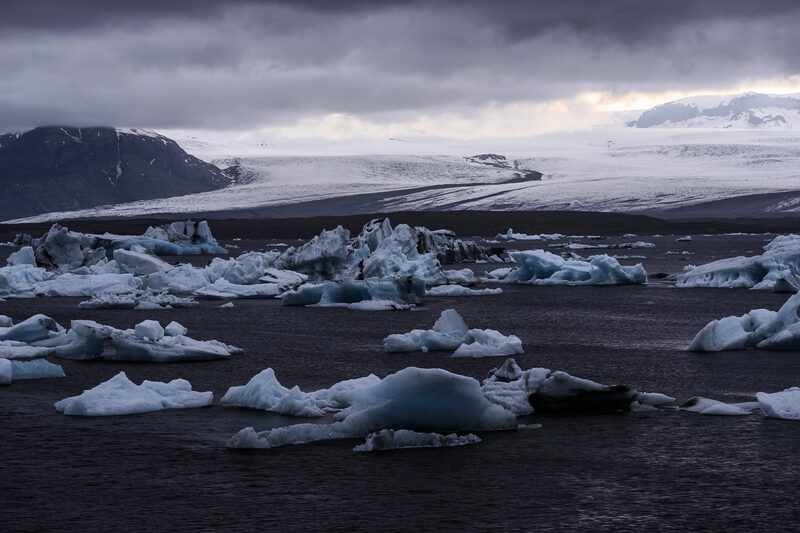 When capturing panoramas in which the nearest object is hundreds of metres away, the distance between the camera tripod socket and the lens entrance pupil causes very little parallax error. Conversely, Aaron’s spherical panorama photography requires precise positioning of the lens entrance pupil in 3D object space. Pete, this warrants an article :) If you could put the above in an article, I would be happy to post it on PL. If you don’t have any images, please let me know what would be ideal to use and I will do my best! ^ Yeah… that… LOL! I’m not sure all the physics behind it, but that sounds legit to me Pete! Haha! I really only have this issue with very close objects in a confined space, such as an airplane cockpit, when focus stacking or shooting in 3D. For general landscapes at 6 feet and further away, the small amount of shift in the no parallax point due to re-focusing is less of an issue, as long as you are in the ballpark the stitching software handles the rest. Thank you for clarifying, Pete — very interesting information! I (and many other PL readers) enjoy learning the fundamental reasons why these effects occur. It’s valuable to know the “why” along with the “what” for such complex topics. I’ve spent the last three days preparing to start writing an article on the subject of perspective, lens entrance pupils, and how they apply to stitched panoramas. Thus far, I’ve managed to design a hypothetical rectilinear wide-angle retrofocus prime lens to provide the technical underpinnings for the article, and have produced a detailed diagram of it, based on the cardinal points of Gaussian optics. During this process I’ve learnt two interesting things: how to use the drawing application on my computer [that I didn’t know I’d installed! ]; coming to the sudden realization that it is impossible to explain the role of the lens entrance pupil without firstly explaining the fundamental nature of light and human vision, which are two of the most important core principles in optical physics of which the vast majority of people are totally unaware. So, I’m wondering if the PL team would consider compiling a tutorial that addresses these core principles because it would serve as a rock solid basis [a reference point] for both answering readers’ questions and for underpinning the fascinating technical articles, such as Spencer’s What Is Diffraction in Photography? The answer to that question is: The lens entrance pupil, which is a virtual object that produces real images, therefore it is responsible for the diffraction; this virtual object represents an extremely important part of the highly complex interface between the domains of object space and image space. But, without me firstly having adequately described these very different domains, thereby putting my statement into its scientifically correct context, my simple answer sounds like complete gobbledegook — often misinterpreted as “mansplaining”, et cetera. I’m not able to write a suitable tutorial on PL for several reasons, but I’d be more than willing to provide suggestions and technical input to any/all of the team who would like to undertake this project. As far as I know/understand, diffraction is a physical, not a physiological, phenomenon. It’s both — in very bright light, the pupils in our eyes ‘stop down’ to an aperture small enough to noticeably restrict their resolution due to the increased level of diffraction. Perhaps, but in any case the diffraction is a physical phenomenon. Is there a physiological phenomenon that is not a physical phenomenon? Yes, for example some people perceive colors differently but it does not mean that colors are different. Reasonable, Thanks for your reply. I’m wondering if various branches of science use the terms differently. My understanding is this: objective physical reality ⇒ our physiological sensory system ⇒ our psychological subjective interpretation, which results in our perception of physical reality. “Perception (from the Latin perceptio, percipio) is the organization, identification, and interpretation of sensory information in order to represent and understand the environment. All perception involves signals in the nervous system, which in turn result from physical or chemical stimulation of the sense organs. For example, vision involves light striking the retina of the eye, smell is mediated by odor molecules, and hearing involves pressure waves. Perception is not the passive receipt of these signals, but is shaped by learning, memory, expectation, and attention. A dream is an example of visual perception of things that do not exist in objective physical reality, however, dreams are the result of real physical activity in the physiological brain. Optical illusions are wonderful demonstrations of our inability to accurately perceive objective physical reality. The physiological diffraction that occurs in our eyes reduces their angular resolution therefore we see the effects of it directly, in other words, our perception of it = its objective reality. The diffraction that occurs in photography is the same objective physical phenomenon, but we can see it only indirectly as a level of fuzziness that increases the closer we look at the image, therefore our perception of it does not equal its objective reality. Depth of field is an example of something that consists entirely of physiological plus psychological perception because it doesn’t exist in objective physical reality: only the plane of focus is in focus; every object at a different distance is, by definition, out of focus. The circle of confusion is a physical phenomenon; depth of field is a subjective perceptual phenomenon. Well, I would agree all physiological phenomena have physical phenomenological bases, but diffraction is a physical phenomenon only. Diffraction due to an extremely small pupil is still just a physical phenomenon. The constriction of the pupil is a physiogical phenomenon, and the perception of the effects of diffraction may be physiological, but the diffraction itself is a physical phenomenon. 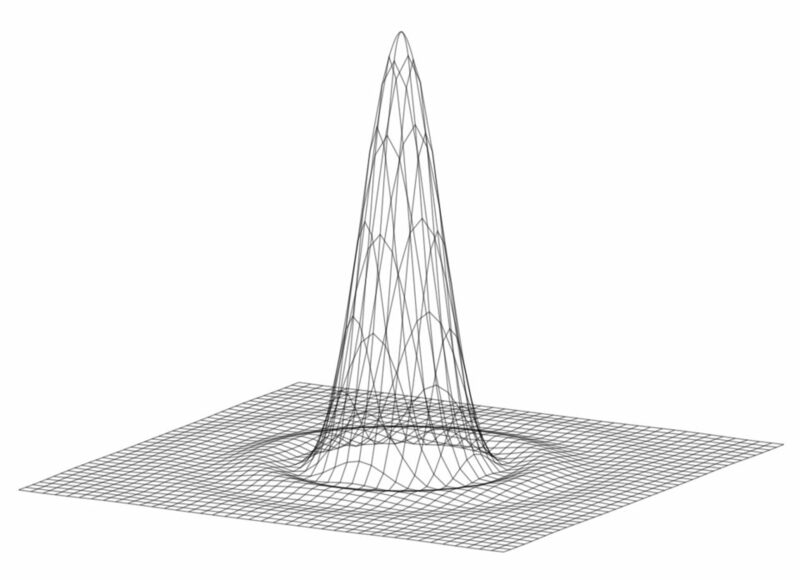 Merlin, the optical functions of an entrance pupil and a variable magnification lens, and the resulting diffraction, are all physical phenomenon. Eyes are a physiological implementation of an imaging system, cameras are a technological implementation of the system. 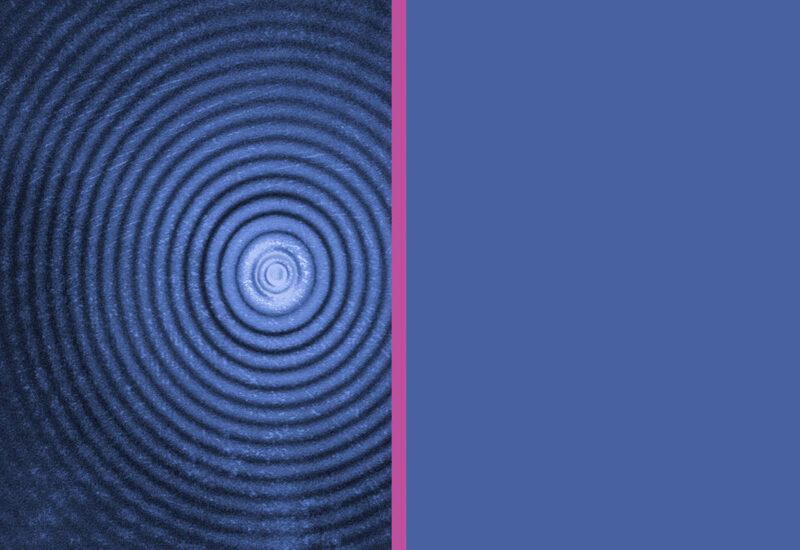 Neither system causes diffraction per se, diffraction is just waves doing what waves do when they encounter an obstacle — a circular aperture in this case. 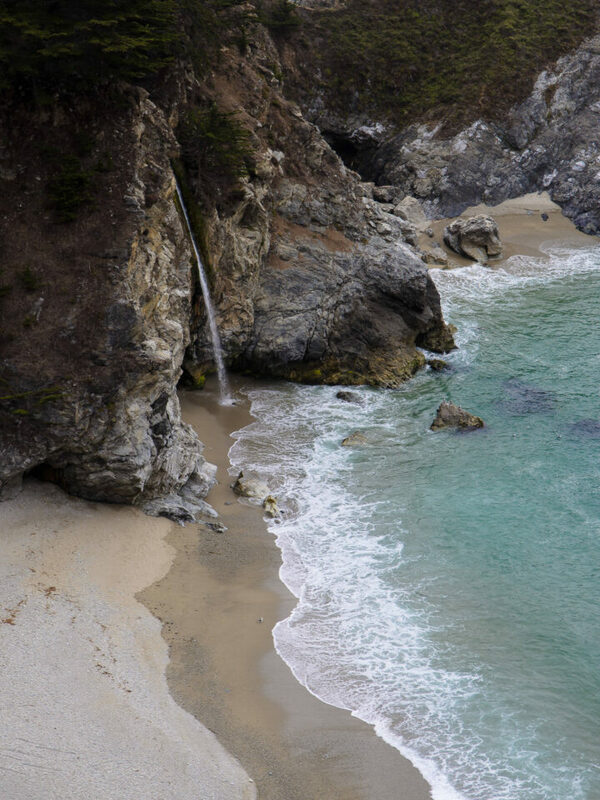 Likewise for the refraction that waves undergo when there is a change in refractive index, and for the photon energy that is transferred to the sensor. Whether the aperture and magnification of the lens are changed by muscles (physiologically) or by servo motors (technologically) is irrelevant because they are just essential mechanical components in the complex servo systems that provide the two functions auto-exposure and autofocus. In manual camera system these functions are provided physiologically by its operator so one could argue that a manual imaging system is a physiological only imaging system because it cannot function using the natural laws of physics alone. Machines that are designed to extend the functionality of their human operators need an ergonomically designed control layout in order to provide the most seamless intuitive interface between human and machine. Having a camera with a superb imaging system but a confusing menu system and/or control layout is a gripe that’s been mentioned several times in articles on this website. I don’t think making a distinction between physical and physiological phenomena is useful, however, making a clear distinction between objective physical phenomena and their resulting psychological subjective effects is essential to both art and photography. As I’ve mentioned before, a small photo viewed from afar will have an infinite depth of field and zero perceivable diffraction; the same image when pixel-peeped will have a shallow depth of field and/or clearly visible diffraction. Obviously, the resulting subjective effects of the underlying objective physical phenomena depend entirely on the angle of view that the image presents to the viewer and the visual acuity of the viewer. Photographers need to take into account the viewing conditions of their intended audience before pressing the shutter button. Following a rule, such as f/16 will produce easily noticeable diffraction on a 30+ MP full-frame sensor, is useful only if their intended audience consists entirely of pixel-peepers. Thank you for the comments! Very true — if you are using a TV or small prints to display your photos, diffraction becomes much less relevant. It still exists, of course, but it is harder to notice at any reasonable aperture settings. For large prints, though, people tend to enjoy examining them for every possible detail. Viewing difference certainly matters, but only if you can be sure that no one will view it from a closer vantage point (for instance, a billboard ad). Is diffraction really only a function of relative aperture, ie, f/stop, or a function of the absolute size of the aperture? It seems that diffraction is caused by the bending of light around the edges of the aperture, and increases as the aperture size is reduced. This explanation would seem to be supported by the fact that with smaller sensors, diffraction seems to become more problematic at larger apertures. On my view camera, my 210mm lens doesn’t show much diffraction at f/11, even f/22 or higher. At f/11 on my Sony RX100MV, it’s pronounced at 24mm (35mm equivalent, actually 8.8mm). In other words, it seems like diffraction is a function of the absolute aperture size in mm and the wavelengths of light, which are constant. Your interpretation is incorrect. The amount of diffraction that you see in your photos is a function of the f-stop (the focal length divided by the aperture diameter), not the physical diameter of the aperture blades in your lens. That’s why you’ll see the same amount of pixel-level diffraction at a given aperture whether you use a 14mm lens or a 500mm lens, assuming the same sensor size. So, why aren’t you seeing much diffraction with your view camera, even at apertures like f/22? Look at the first figure under Section 4, “Small Versus Large Sensors” to see the reason. Essentially, at a given output size, prints from small sensors will show diffraction much more readily than from large sensors. Thanks, Spencer, makes sense. So, is there a table somewhere that shows at what aperture diffraction becomes a problem for different sensor sizes at reasonable output sizes or maybe enlargement ratios? That’s what’s really important, there should be a graph somewhere by now. So, looking at lens performance for a minute. 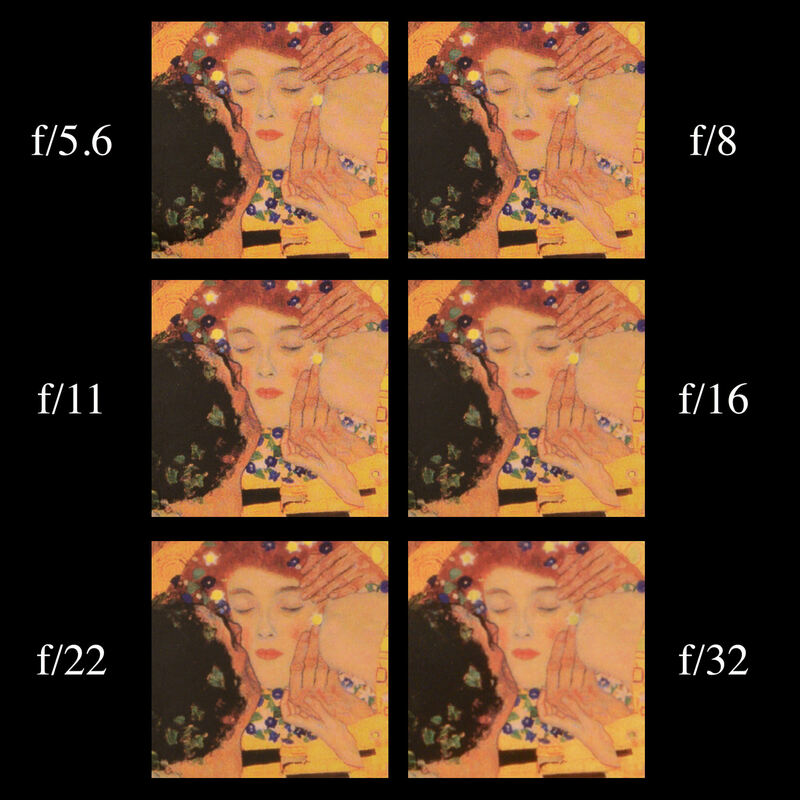 I was reading about my Nikon 90mm f/8 SW large format lens, and peak performance appears to be at f/16 in this test. As for the two testing methodologies, lenses overall vary quite a bit from copy to copy, which could explain the result. There is no perfect lens test, either, and that could be at fault as well. However, in practice, the difference between f/16 and f/11 is likely to be quite small, and not something you will easily notice in the real world. Diffraction does favor the f/11 shot, but the f/16 shot will decrease unsharpness problems that the lens itself has, so it’s a tradeoff. With a large format camera and a 90mm lens, something like f/11 will have a very thin depth of field, so you may be better off sticking to f/16 for certain images (or even something smaller like f/22 or f/32). However, it is best if you test this for yourself. It appears to be complicated, as seeing diffraction depends on output size, viewing distance, pixel size, etc. Interesting subject, I’ll be doing some testing of my gear. The largest jpeg files from my RX10MV appear to be at f/5.6, but I need to do some more rigorous testing. I have a several 20″x 24″ prints from my Zone VI with a Rodenstock Sironar N 210mm, which isn’t supposed to be a great lens, but they are very sharp corner to corner. I think they were shot at between f/22 and f/32, so go figure. Well, I was just on flickr and a pro photographer of landscapes was consistently using apertures greater than f11. The images looked very sharp. I was looking for deterioration of the image due to diffraction but to my eyes they looked pretty good. I would imagine focus stacking could give similar effects. The images made me wonder just how much the images actually suffered from f16 and f22. They looked good to me. They were mostly taken at f16. It greatly depends on pixel density and size of your prints too. A Nikon D810 or Sony a7R II at 36 or 42 megapixels is going to show diffraction sooner than a 12 megapixel Nikon D700 or Sony a7S. And viewing an image online at 1024 to 2048 pixels wide doesn’t show the detail that a 20 x 30 print on the wall would show either. So, with anything in photography, it’s relative. :-P I don’t go further than f/13 on my D810 when shooting gigapans because it has a high pixel density and it is going to be printed large (several feet quite often). f/16 actually loses considerable sharpness under those conditions. One question: I’m just taking up photography again after a long interlude. Back in the seventies and eighties I used to read photographic magazines quite regularly but don’t recall any discussions of diffraction. It was always small aperture = depth of field and/or getting the best out of budget lenses. Obviously diffraction would have been occurring then, exactly as it does today, and of course lens designers would have been aware of the possibility, but there didn’t seem to be any public concern. It’s entirely possible that my reading material was at too low a level, or that I missed the issue with the shocking revelation, but I am left wondering if diffraction might have less impact on film than on digital sensors for some reason. Any thoughts? Glad you enjoyed the article. In general, diffraction is associated less with film photography simply because, by area, film doesn’t have the same resolving power that digital camera sensors do. In terms of diffraction, the difference between f/8 and f/16 was — on many films — mostly obscured by the grain. Even today, shooting at f/22 with a high-resolution digital body, I can’t see any differences at all when the image is well-sharpened and printed at 8×12 inches or smaller. You need a camera with very good resolving power and a relatively large print (or crop) to see diffraction at all but the most insane apertures. People still knew about diffraction in the 70s and 80s, and I’m sure that some photographers avoided extremely small apertures for that very reason, but it simply wasn’t as obvious as it is on today’s cameras. I guess one make a choice between softness due to diffraction and increased depth of field. Also, enlargement ratios come into play. Maybe I’ll shoot a series of photos with my view camera, say f/11, f/16 and f/22 to see which is best. What do you mean with “If you want to test deconvolution sharpening, increase the “Detail” slider as much as possible in either Lightroom or Camera Raw”. How that works? Adobe changes around their sharpening algorithm depending upon your “Detail” setting. So, with detail +100, the algorithm is as close as possible to deconvolution sharpening, which tends to be ideal for fixing areas with diffraction. Personally, my go-to sharpening settings are +30 sharpening, 0.5 radius, 100 detail, and 10 masking (although this may change from photo to photo). why lens manufacturers do not add a mark on the lens to indicate the best aperture for which the lens is optimized ?? This is an excellent article. Thanks for not dumbing it down too much for us. :) I tested today and am thrilled to have the info. My Asheville Mtns are going to look so much better! I have taken landscape photos for years that had great depth of field but lacked tact sharp details. Now I know why! F22 is not always best! Going to have fun making comparison shots with my particular equip to see what apertures work best for me! I am learning that everything in photography, like in life seems based on making the best compromises…….Thank you for a great article! I think the end should be “at such large apertures”? Great spot, John, thank you! I’m surprised that it slipped by for so long, but very glad you caught it. Do you have any links for the equations and theory for how diffraction affects resolution? I have the basics (three years of optics in university) but am interested in learning more about multi-lens optical physics. As some others have said earlier, there may be some misleading concepts on this, nevertheless, useful article. As Pete A cleverly implied, there’s the real physical effects of diffraction of light and the perceptional effects they will have on the final viewing experience. becomes smaller, that is, the interference is worst due to the smaller diameter of the diaphragm. From this, it should be noted that diffraction directly does not affect depth of field (DoF) as it degrades the focusing quality of the entire image more or less equally. Also, it does not depend on nominal aperture (f numbers), but on the physical size of the diaphragm aperture.Just like DoF does not depends on f numbers but on the physical size of the diaphragm aperture (although DoF is only a perception, not a manifestation of any physical phenomena). I also thought that mixing light diffraction on photographic lenses with figures of interference of very small holes into parallel waves is misleading as this effect is only present when the hole has a size of the same magnitude of the wavelengths. On the other hand, the Airy disks is a more useful approach to help to understand that diffraction will make different direct effects on the image created in the sensor. But, it must be well interpreted: the center of the disk is always the part with the better quality. Remember the Airy disks present a picture of a single beam of light so the center as more quality than anything around where the ripple effect will be more noticeable. – (ii) sensor size; larger sensors (either analogue or digital) will always pick more effects than smaller ones, because the image area is bigger; but more effects do not always mean worst as the relative size of the effects on the main subject of the image will be different. Since magnification (FL) and size of the sensor determine together how the diffraction will impact the image gathered on the sensor, we should avoid statements on how FL or sensor size alone will determine better or worst effects of diffraction in the image. Finally, I though sensor pixel density does not alter the effects of diffraction of the lens. As with many things perceptual about the image, pixel pitch is only relevant for the reproduction process of the image.